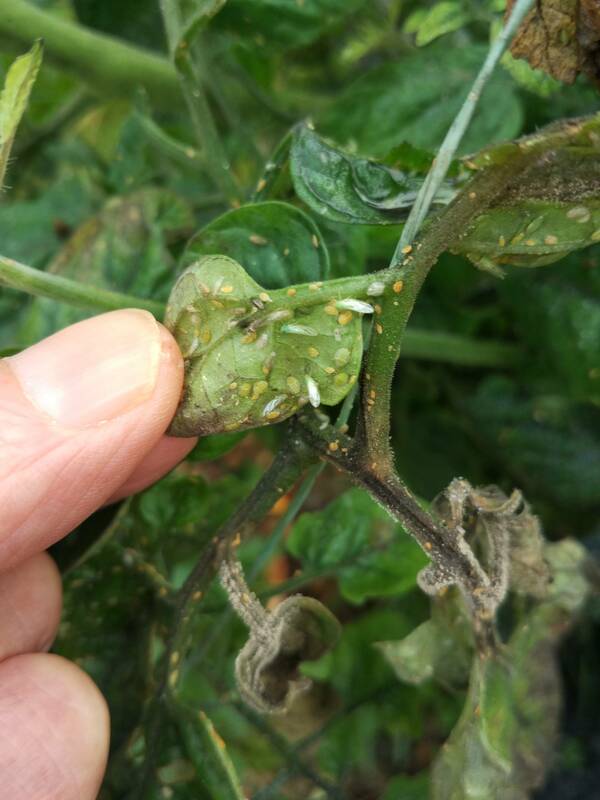 I noticed these sugary white granules on my tomato leaves a couple of months ago, and saw some insects which I thought were aphids but didn't look closely. Now it looks as though my potatoes are infected. The tomato potato psyllid (TPP) arrived in this country in 2006, presumably from the USA, and I was quite unfamiliar with it. I suspect that this is my problem. I'm going to remove and bag up the infected plants, but a couple of weeks ago before I realized what was wrong I pulled the spuds out and put them into the compost. Do I need to remove them from the compost pile or is it too late? And should I remove all guest potato plants from the garden, infected or not? 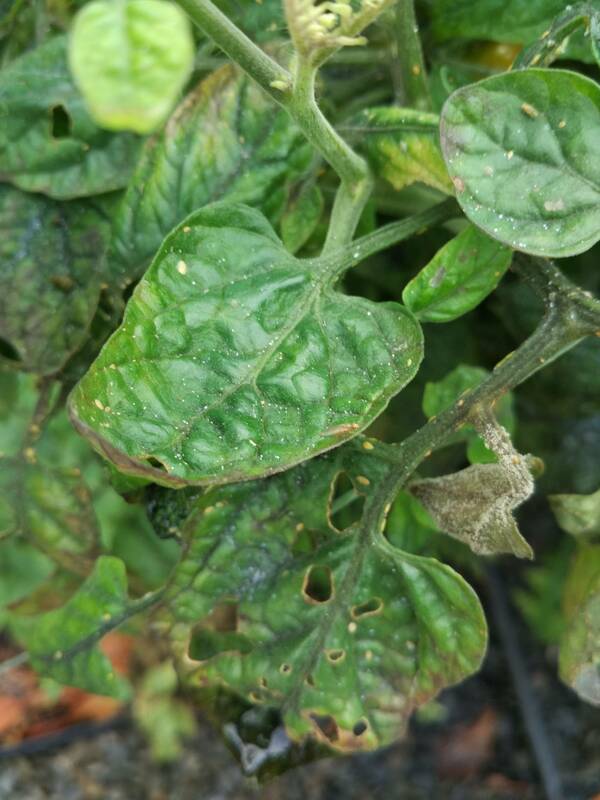 Those green bugs are not "The tomato potato psyllid (TPP)" but they are definitely some kind of green psyllids (maybe boxwood psyllids). Do I need to remove the [infected spuds] from the compost pile or is it too late? Psyllids can travel, but I don't think you have an invasive species... so strict quarantining might not be necessary. As for the compost, if you bury the potatoes (and plants) under a foot (or two) of compost, that should smother the bugs. 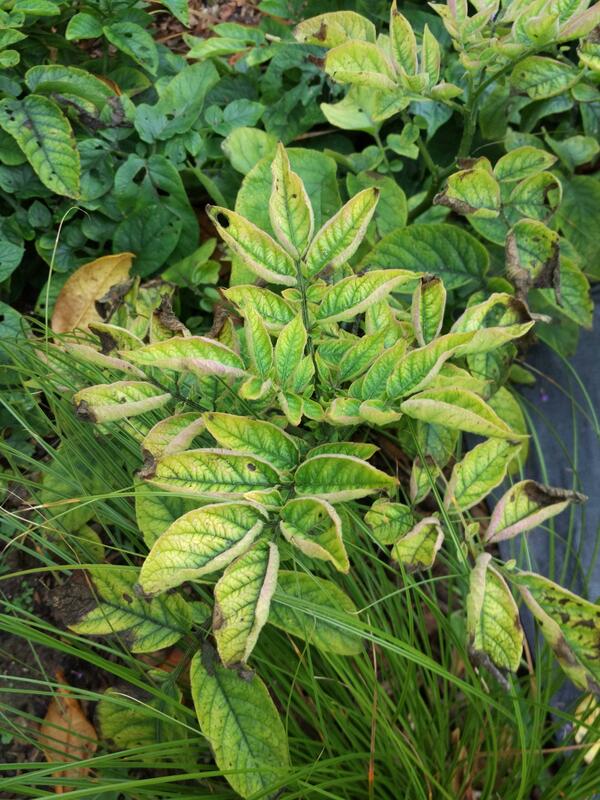 And should I remove all guest potato plants from the garden, infected or not? If cultural and chemical controls aren't working (well), then I would bag them. Generally, neem oil and spinosad work on psyllids. Not the answer you're looking for? Browse other questions tagged diseases tomatoes pests potatoes or ask your own question. 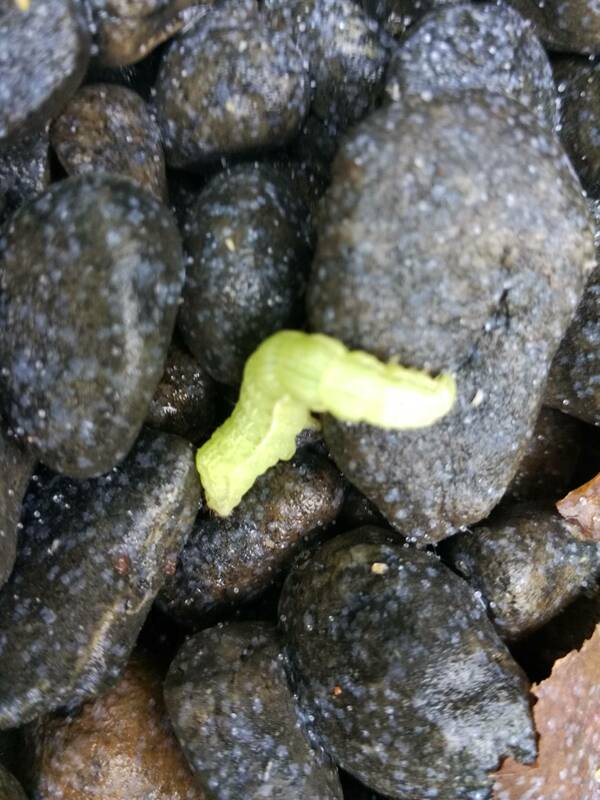 What is this opening on the bottom of my tomato plant's stem? What's eating the tomato leaves? What is the cause of this tomato plant leaf curl?